iTunes helps you add digital audio and video files on your computer directly to your iTunes library. You can add audio files that are in AAC, MP3, WAV, AIFF, Apple Lossless, or Audible.com (.aa) format. If you have unprotected WMA content, iTunes for Windows can convert these files to one of these formats. You can also add video content in QuickTime or MPEG-4 format to iTunes. To learn how to add these files to iTunes follow the steps below. If iTunes is set to “Copy files to the iTunes Music folder when adding to library,” iTunes will copy all content that is added to the iTunes library to the iTunes Music folder. To adjust this setting or change the location of this folder, go to the Advanced tab in iTunes Preferences. 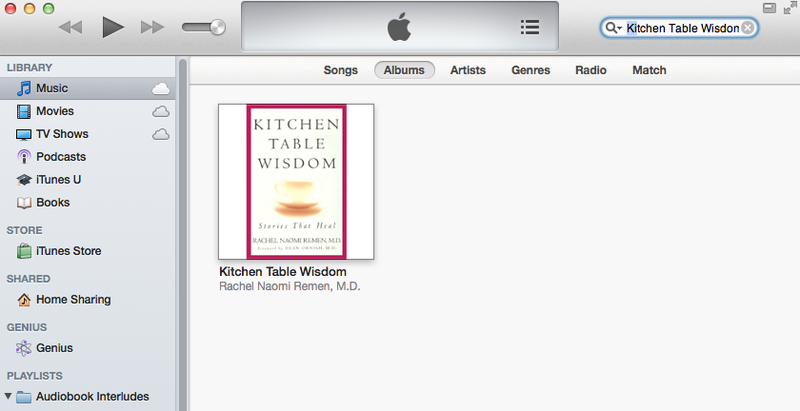 Type the book’s title into the iTunes search field. Your goal is to have a window which shows all of the imported tracks, and nothing else. Select all of the tracks for the audiobook by pressing Command + A (for Apple) or Conrol + A (for Windows). 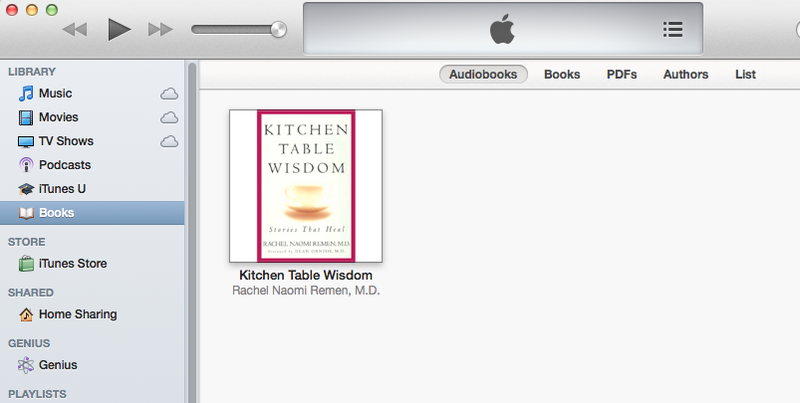 Switch to the Options panel, and select Audiobook for the Media Kind. 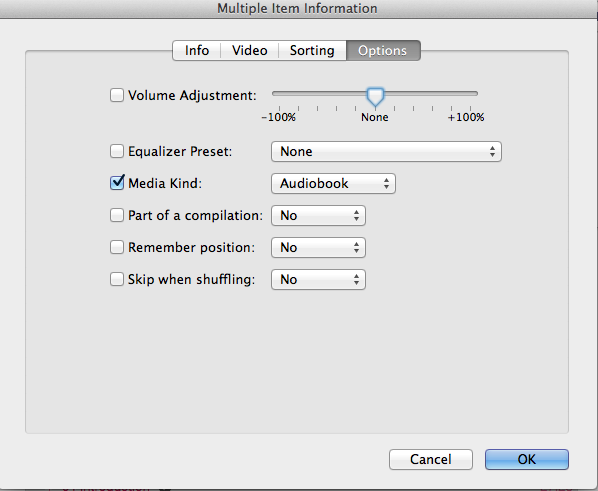 Setting the Media Kind to Audiobook tells iTunes to move the tracks to the Books source list, and also to treat the tracks differently. 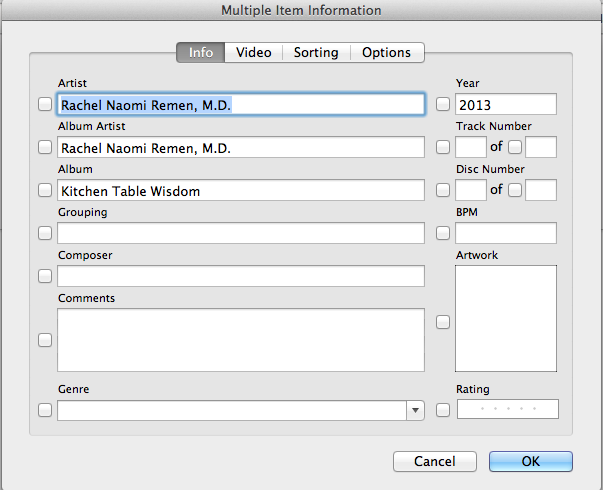 The selected tracks will appear in the Books source list, and be excluded from music-specific behaviors. Audiobook tracks also use separate sync settings for your iPhone or iPod, which you set in the Sync Audiobooks section of theBooks tab for your device.The other two settings enabled here are automatically set by the change to Media Kind, but it doesn’t hurt to proactively set them. Remember position tells iTunes and the iPod to make the file bookmarkable. Skip when shuffling keeps spoken word tracks out of your music mixes, where it would probably interrupt the mood. Click OK.
All of the tracks will vanish—don’t panic! Click on the Books source list in the left sidebar of iTunes, and search for your book’s title again. You may have to click on Audiobooks. You should once again see a list of the book’s tracks.